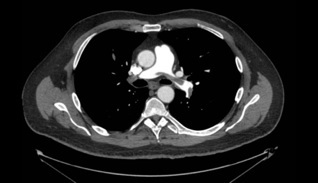 Pulmonary embolism course focused on interactive learning, full data sets with high resolution images, and discussions for radiologists to gain additional proficiency in this topic area. Pulmonary embolism course focused on interactive learning, full data sets with high resolution images, and discussions for radiologists to gain additional proficiency in this topic area. This course will allow radiologists to follow a systematic approach to improving their diagnostic skills to all the various findings of CT findings of pulmonary embolism.